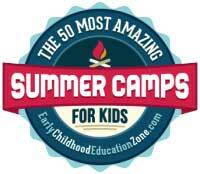 We’re so glad that you are considering our summer camp programs! Just the fact that you’re researching camp opportunities for the special child in your life signifies that you already know how summer camp can be a vital part of a child’s growth and development, providing healthy opportunities to discover, explore, grow, and have fun. The camp experience helps build character and enhance life-development skills, allowing children to connect with nature, themselves, and others. You can register online by following this link. And please feel free to contact us anytime via phone (815-713-4110) or by e-mail. Childhood is far too short…and because children have a limited window of opportunity in their lives to benefit from camp, the decision to begin a new camp experience should not be put off. The window for enrollment is also small – spaces are limited, so if you’re interested, please act soon! Thanks again for considering Camp Kupugani…where kids have fun changing their world!